January’s birthstone, Garnet is blood red in colour and garnet means perseverance, truth, patience and consistency. Although most people think that garnets are only red in colour, but garnets come in a variety of colours like pink, green, yellow, violet and orange. This birthstone is even believed to protect from nightmares. All garnets will help to speed up the healing process. February’s birthstone, Amethyst is a beautiful purple stone associated with sincerity, peace of mind and good health. Amethyst is a symbol of protection and has the power to overcome difficulty. Encourages self control and strengthens the bond in a love relationship. Amethyst is also believed to have great mystical qualities and it can help to steady a restless mind and bring mental and emotional well-being. Amethyst brings intuition, motivation and sincerity. Aids in meditation and stabilizes harsh emotions. March’s first birthstone, Aquamarine is a pale blue coloured gemstone and is associated with foresight, knowledge and inspiration. Aquamarine’s soothing blue colour is believed to bring mental clarity and releases negative energy from the wearer. Aquamarine brings courage, creativity, perception, hope and self-expression. The second birthstone for March is Bloodstone, a dark green opaque quartz flecked with red spots. The name Bloodstone derives from the legendary belief that the red colouration resulted from the blood of Christ spilling onto green jasper during the crucifixion. For this reason, the stone has been called “martyr’s stone.” This stone is good for healing and symbolizes courage. April’s birthstone, Diamond is the symbol of purity, innocence, eternity and courage. Diamond is the most sought after and expensive gem. In ancient times diamonds were believed to be tears of the Gods. The beauty and brilliance of a diamond is unparalleled and birthstones meaning for diamonds is eternal and true love, strength and romance. May’s birthstone, Emerald brings happiness, prosperity, success and goodness. Emerald is also believed to cure ailments and legends said that emeralds had bewitching and magical properties. Emeralds signify honesty, wisdom, growth and patience. June’s first birthstone, Pearl, has long been a symbol of purity. The ancient Greeks believed that pearls were the hardened tears of joy from Aphrodite, the goddess of love. Pearl is worn to calm a restless mind and to control anger. It is believed that people who wear pearl can succeed in creative work and it is also linked with a successful married life. The second birthstone for June is Alexandrite, helps renewal and regeneration, openness to higher self. Brings love, joy and luck. Pinkish in color, this gemstone has the unique characteristic of changing its color to a red hue when exposed to a glowing light source, such as candlelight. June also has third birthstone Moonstone, named because of its uncanny resemblance to the iridescent sheen of the moon. Moonstone varies in colour from clear to blue-white or peach. It was considered by ancient civilizations to be a sacred stone, bestowing the wearer with great spiritual understanding. A gift of this stone is symbolic of health and longevity. July’s birthstone, Ruby has been regarded by ancient Hindus as the “king of gems.” It was believed to protect its wearer from evil. The ruby’s deep-red colour signifies love and passion. It stimulates nurturing emotions. Excellent for shielding from psychic attacks and gathering and amplifying energy. Ruby is associated with harmony, protection, enthusiasm, contentment, success, integrity and strength. August’s birthstone, Peridot signifies innocence, fidelity, strength and faith. It is sometimes called the evening emerald for its light green colour. It was once believed that the green peridot crystals found in volcanic ashes were the tears of the volcano goddess, Pele. When set in gold, this gem was said to protect the wearer from nightmares. It balances your mind and calms emotional storms. Aids digestion and insomnia. September’s birthstone, Sapphire is associated with faith, honesty, wisdom and serenity. It is believed to increase mental clarity and enhance spirituality in a person. Sapphires are generally deep blue in colour but they are also found in other colors like yellow and pink. Sapphire promotes pure emotions – purity of mind, serenity, joy and peace. Opens the mind to beauty and love. Clears the mind of unwanted thoughts. October’s birthstone, Opal means hope, innocence and purity. It is believed to have healing and restoring qualities and there are many different varieties of opal. Opals are black or white in colour with variations of other colours within the stone. Opals are unique than any other stone and their sheer exquisiteness makes them a much sought after gem. The word comes from the Latin opalus, meaning “precious jewel.” Necklaces with opals set in them were worn to repel evil. The second birthstone for October is Pink Tourmaline, it has a magical property of pyroelectricity. Scientifically speaking, this means that when heated, the gem takes on a static electric charge, making it capable of attracting lightweight objects. Pink Tourmaline stimulates the creativity of its wearer. Pink varieties of Tourmaline range in colour from pastel pink to ruby red. A gift of this stone is symbolic of hope. November’s birthstone,Citrine is a yellow-to-golden member of the quartz mineral group. Citrine has been called the “stone of the mind” because it helps mental and intellectual functions. Increases your self-esteem and energy. Balances and dissipates negative energy. Cleanses energy and vibrations in the atmosphere. Improves creativity, helps personal clarity and curves self-destructive tendencies. The second birthstone for November is Yellow Topaz, symbolizes love and affection. It is linked with wisdom, strength, courage and serenity. It soothes physical pain, promotes peace and calms emotions, as well as promoting forgiveness. Promotes individuality, self-confidence, creativity, mental clarity, increases focus and reduces mood swings and anxiety. Counteracts negative emotions. December’s birthstone, Blue Topaz was considered by ancient civilizations to have cooling properties. Believed to calm hot tempers. This gemstone was credited with many other healing powers, among them the ability to cure insanity, asthma, weak vision and insomnia. Blue Topaz is symbolic of love and fidelity. The second birthstone for December is Turquoise, signifies fortune, good luck, friendship, happiness, peace and patience. Turquoise brings mental peace and guards against illnesses. Turquoise rings, in particular, are thought to keep away evil spirits. It is a healing stone. Releases shame and guilt. frisco jewelry stores that are reputable with reviews to ensure you know what you are getting. Here at luxamart Jewelry Exchange we offer amazing deals on all types of jewelry for every occasion. We buy, sell and trade gold, silver and other jewelry at our location on Preston and Lebanon. We offer repairs on jewelry and all types of watches including Rolex, Seiko, Hamilton, Citizen and more. 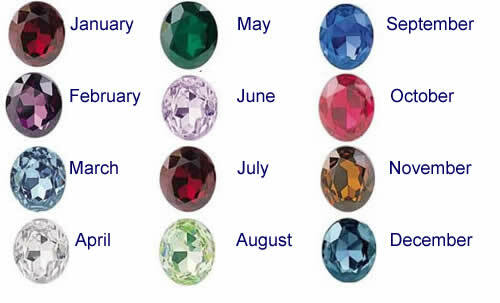 Come find a birthstone for a gift today and we will ensure you leave a satisfied customer. How do I save money when shopping for jewelry?What can I clean my jewelry with?